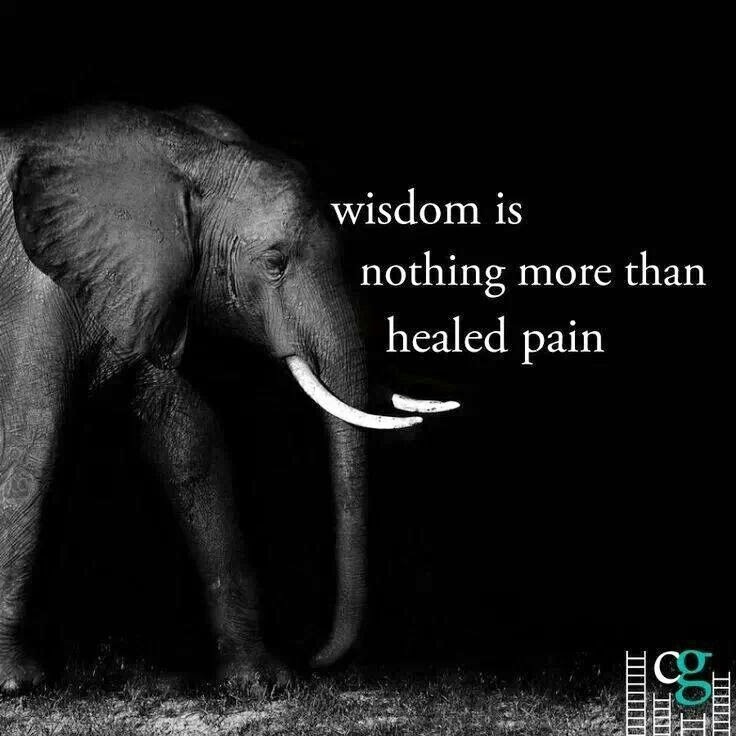 Don't avoid the pain, within the pain is your wisdom. I follow a woman on Facebook who lived a really amazingly painful life. So many awful things happened to her, some of the worst things that you can imagine. Homelessness, poverty, child abuse, sexual molestation, death, murder, pain, pain and more pain. Everything that could go wrong went wrong in her life. Today, she's an up and coming speaker, author and life coach helping people make the most out of life. And who better than she to help people become the most and the best that they can be? Right? She took her painful experiences and created a great life from it. Don't regret what you have been through. Without those experiences, you wouldn't be YOU. It's time to be bold and to go for what you've wanted all your life. Yeah, some people may be unhappy with your decision to "go for it" . . . if it's not detrimental, if it doesn't cause them undue stress, upturn their lives, hurt their hearts or cause them to starve . 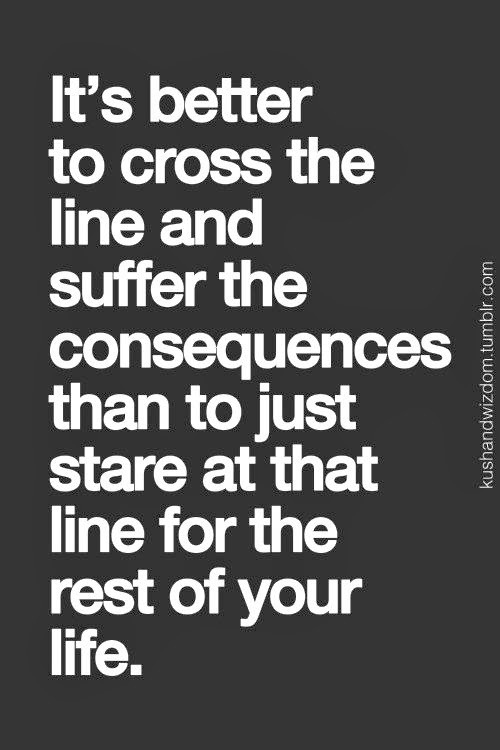 . . then it's pretty likely you can deal with the consequences of following your dream. There is always a way. There is always a way that you have a piece of your dream if not the whole darned pie. Take that way. That little piece of your dream may lead you to more. Stay powerful and influential my friend. Happy Mother's Day. Success is wonderful. Your dreams are beautiful. But know what is of value. People come first. Making sure that you keep the correct perspective is very, very important. 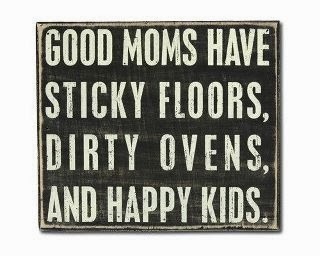 Good moms are not great housekeepers, they are people that make sure their children are healthy and happy. If you want to create a business that will make you more available to your family, make sure you have TIME with your family. If you gain success in your business, make sure that you also have a successful family and social life. Because after all, what good is success if you don't have anyone to share your success with? See my blog post for Mother's Day 2013: Know When Someone Loves You! I hate trying new things. It only cascades into doing even more new things to support the first new thing that I just did. Before you know it, I'll be doing all kinds of things that are out of my comfort level. Soon, I'll be surrounded by waters that feel, look and taste very, very foreign. And then I will get that panicky fearful feeling of "what the heck have I done, how did I get back onto shore? I'm gonna drown!" But here is the question we neglect to ask ourselves: "Were you happy with your life the way it was?" Let's examine this concept further: Were you happy with your life when things felt familiar and safe? When you could predict, like clockwork, just what is going to happen next? Were you happy with the direction of your life? Then you've gotten into this mess because you want a new vision for your life. And that new vision for your life, your situation, your success is clearly no where near the safe, predictable things you have mastered. If it were, you'd have that success, situation or life by now. How bad do you want to live the life of your dreams? How bad do you want to just have some different opportunities in life? 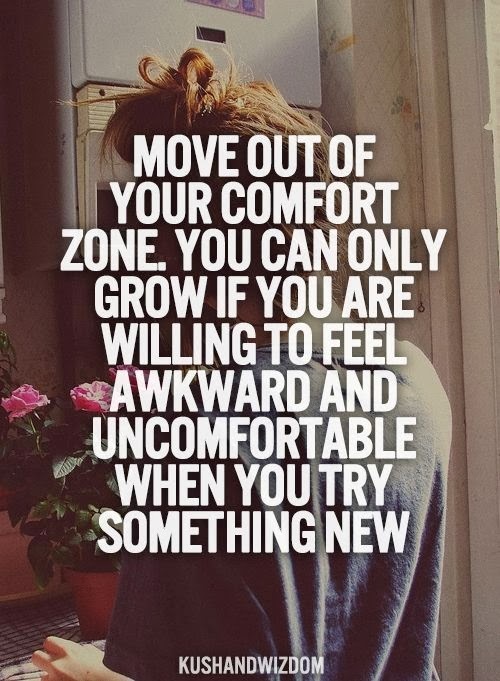 Then do that new thing. You've explored the old, safe stuff thoroughly. The things you want are no where near the vicinity of the old stuff, right? Continue on my friend. Do a "new" things today, right now. Even if it makes you feel like you're drowning. If you keep moving, you'll soon master treading in unfamiliar waters. In the comments below, tell me the NEW thing you are doing today. I'm really interested!